2 volunteer security guards (pictured above) are being hailed as heroes for stopping an ISIS suicide bomber reaching worshipers at a mosque in Saudi Arabia yesterday. 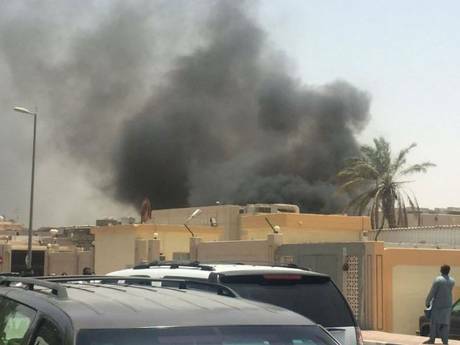 Two young men who reportedly stopped an Isis suicide bomber entering a mosque in Saudi Arabia are being hailed as heroes after being killed when he blew himself up. 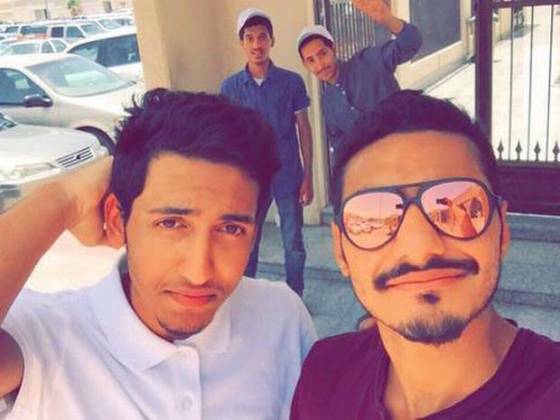 The friends, named as Mohammed Hassan Ali bin Isa and Abdul-Jalil al-Arbash, died after reportedly turning the attacker away from the Imam Hussein mosque in Dammam yesterday. Eyewitnesses claim the man was disguised as a woman and tried to enter through a closed female entrance before going to the main gate, where the pair were manning a civilian checkpoint. They chased the suicide bomber when he tried to enter the women's section of the mosque in the south entrance,” he added.Abdul-Jalil was reportedly 25 and had recently returned from studying at university in the US, getting married just days ago. One of the men’s mothers, Kowther al-Arbash, is a high-profile writer for Saudi newspaper al-Jazira, Middle East Eye reported. Photos of the pair were circulating on social media today, with people calling them heroes and “martyrs”. Videos also emerged claiming to show the fathers of both men praising their sons' heroism. A video from inside the al-Anoud mosque showed the moment the explosion was heard outside, with prayers being interrupted by a huge blast that shook the building, causing people to jump to their feet and shout in the ensuing panic. Eeeeeeeyah! They have become martyrs. May their souls rest in peace. Linda take note! Now, that is what is called the ultimate sacrifice. All this ISIS and Boko Haram people ehn...May God save us from them. Such handsome men. May their souls rest in peace. It will soon over insha Allah. OMG! Pls Lord save us frm tragic accidents, and untimely deaths. I pray God grant their families d fortitude to bear their loss. Awwww... They are heroes and martyrs. RIP to them. Omg!! !i cried. They are so cute, RIP!!! Aren't they all suicide bombers? Aww. May they rest in peace. Handsome men. Chaii...RIP to both of them. Wht a tragic deaths, and touching story. I was pained in my heart after reading dis post. I pray God grant their families d fortitude to bear their loss. RIP to them. I am Christian and even I know that Islam is not a religion of war. Some people just abuse it and take most of its teaching literally. Brave boys. May their soul rest in the bosom of the Almighty. May thier souls rest in Perfect peace..truly herioc! Linda always kips u posted......bellanaija is somewhat boring. Waooo... Thats what it means by been ur brother's keeper.. RIP my brothers from another land.. Very sad, may their souls rest in peace.